Chicken with a bad sinus? 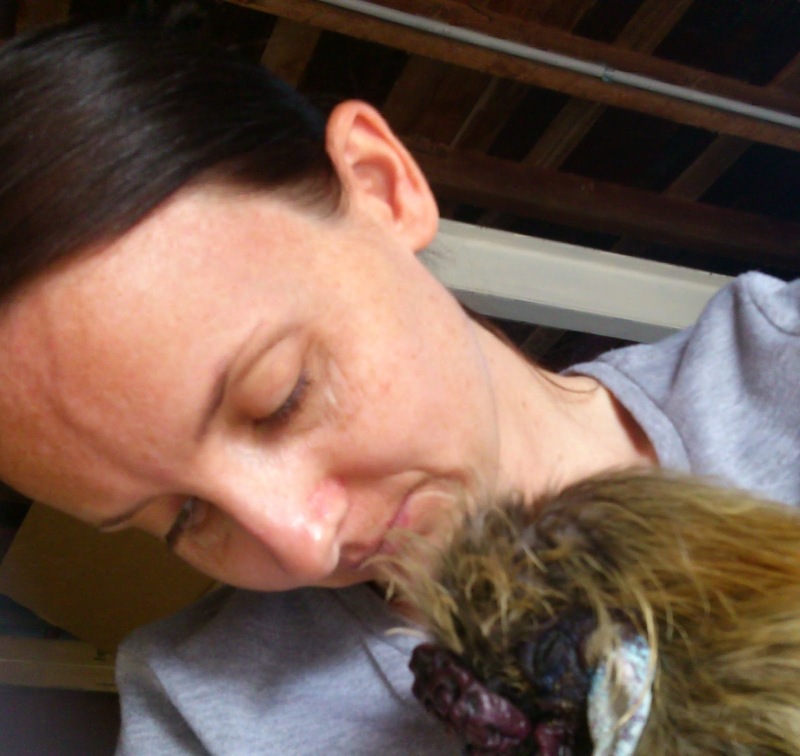 I've had a little trouble with my Chook, Lenny, recently. Lenny came down with a very watery and mucousy eye. I took him to the vet the day after finding his watery eye and the vet diagnosed a respiratory infection. A week later Lenny's eye had cleared up but around the eye had become puffy. My vet did some research on the problem and came to the conclusion Len had a sinus infection and potentially an impacted sinus. Len stayed on his antibiotics and despite my worries he was going to need surgery (or potentially to be euthanised), his vet gave him a fairly promising outlook today and thinks that things should return to normal but to be vigilant of the eye area and that this kind of problem will certainly recur. Happy days for Lenny I think! Me sitting with Lenny when he had to have his antibiotics. He is having a little bit of a sleep. My current project is making an Eardrum. 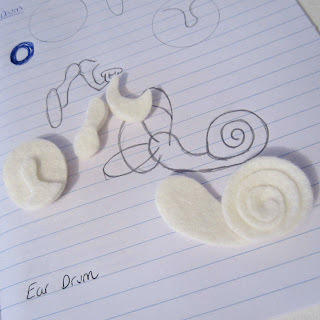 I first made an eardrum a few years ago as a custom order. 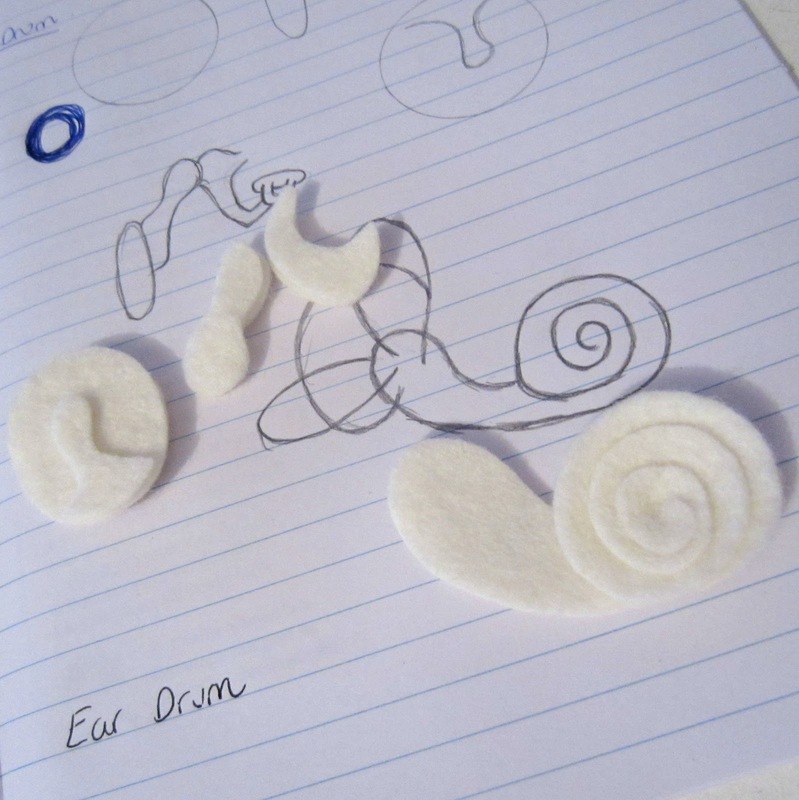 The process of creating the eardrum for that order was long and I was asked to re-make a lot of things as they weren't perfect. As the first time was such a task I was never very keen to make another one, even though it has always been on the list. This year I am tackling a lot of new projects and new ways of designing pieces so thought it was time to give the ear drum a second go. The process is going well, though slowly, and much more relaxed than the original piece. I like all of the little parts to it, it is like building something.